Epp Maria Galerii külaliskorterid pakuvad mõnusat peatumispaika Haapsalus otse linna tuiksoonel Karja tänava ääres. Galeriis on kaks maitsekalt sisustatud külaliskorterit, kus saab lõõgastuda ning nautida Epp Maria Kokamägi, Jaak Arro ja Liisu Arro loomingut. Welcome to resort town Haapsalu! 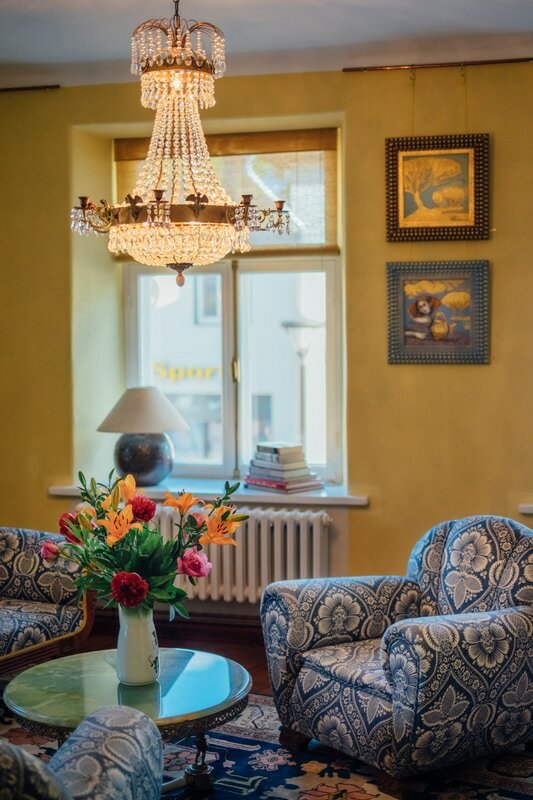 Epp Maria Gallery apartments offer convenient place to rest on the side of Karja street - artery of Haapsalu resort. 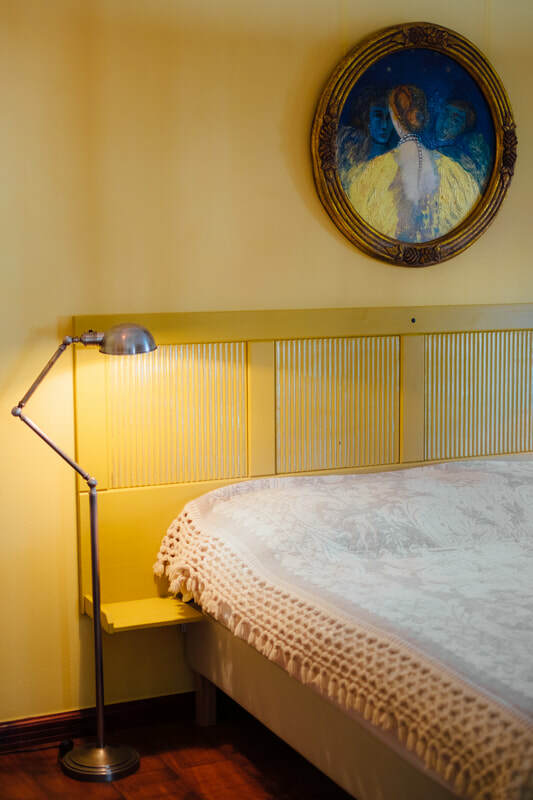 There are two apartments in the Gallery available for guests, offering a place to relax surrounded by work of artists Epp Maria Kokamägi, Jaak Arro and Liisu Arro. "Absolutely stunning and a truly unique experience! Right at the heart of Haapsalu with cozy little cafes and the beautiful Promenade by the seaside just a few steps away. The entrance to the apartment is through an art gallery! 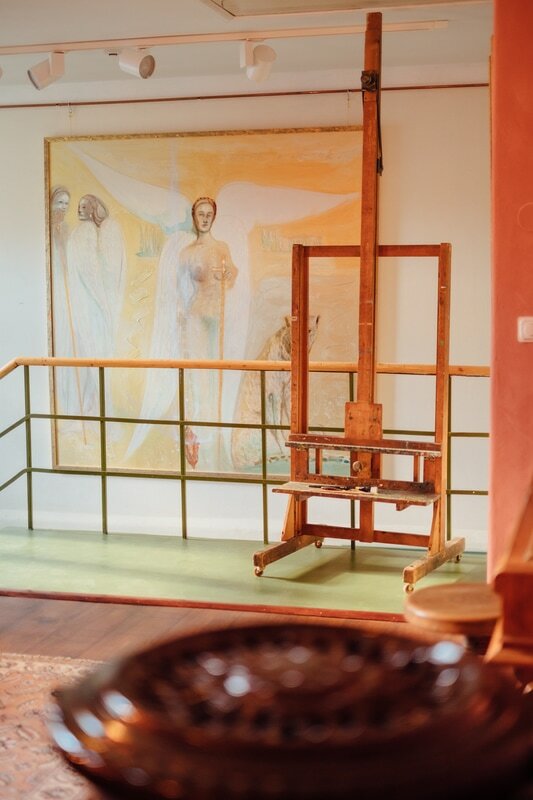 Imagine coming back from an evening walk and walking right through the silent gallery with larger-than-life paintings of angels and beautiful women and landscapes hanging in the sunset light... then walking upstairs to the shared lobby and playing the piano for a while! 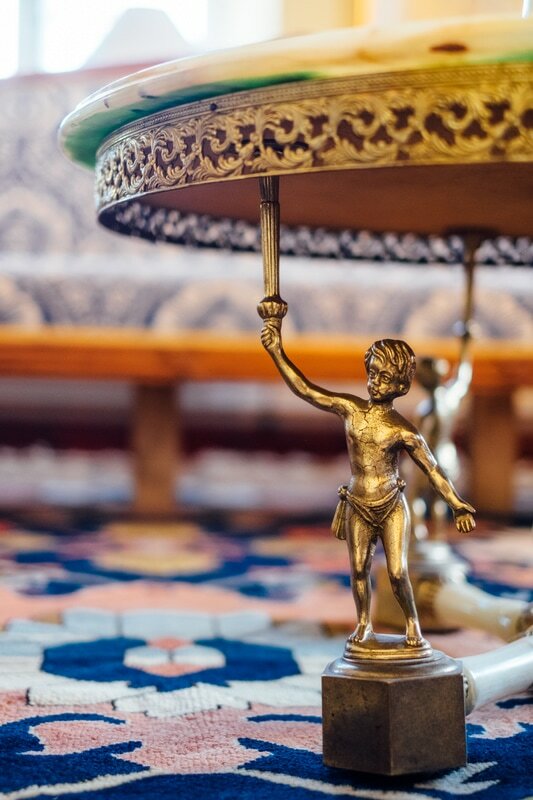 :) The flat itself was beautifully decorated with attention to the smallest detail. We had everything we could wish for... including a well-equipped kitchen with everything for making a cup of coffee/tea or cooking and dining (although with great restaurants and cafes just next-door, it didn't get much use!). We only had a short stay, but the place would be perfect for a longer stay + also very family friendly. The communication with Anni was superb and she replied promptly to all our messages."